Award winning drama series Line Of Duty has been commissioned for a fifth series, and will be moving from BBC Two to BBC One from series four following record ratings for the third series. 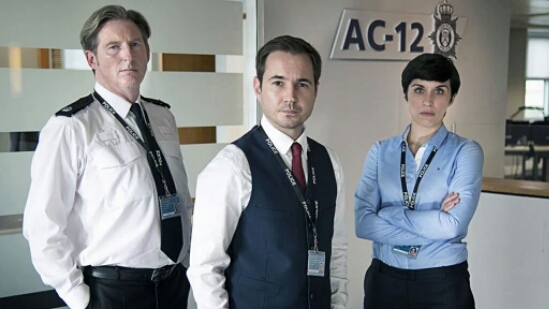 Written and created by Jed Mercurio and produced by World Productions, Line Of Duty stars Adrian Dunbar, Martin Compston and Vicky McClure as a unit of anti-corruption police officers (AC-12). Guest stars have included Lenny James, Keeley Hawes and Daniel Mays – with Craig Parkinson‘s ‘Dot’ Cottan continually alluding capture until his story was concluded with his death at the end of series 3. Series four – which was commissioned back in 2014 – will begin in 2017 with a brand new story. This third series is the highest-rating BBC Two drama series ever since current measuring system began in 2002, with a series consolidated average of 5.1 million. The exhilarating 90-minute finale consolidated at 5.6 million.